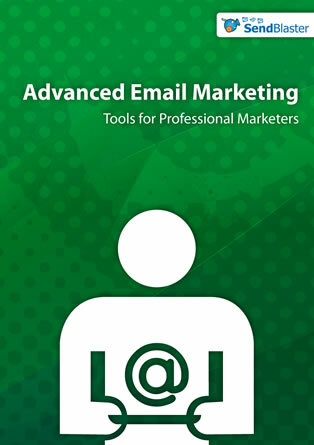 We have just released a new eBook, “Advanced Email Marketing – tools for professional marketers”. This practical email marketing guide designed to help you optimize your email marketing campaigns. You will find lots of information on best practices and proven tactics to grow your email results. To get our Advanced Email Marketing eBook, simply fill out the form on this page for instant access to the email marketing guide in PDF, ePUB and MOBI versions. This free eBook – offered by SendBlaster – is a great resource for intermediate and advanced users. If you are a newbie email marketer, we recommend that you get our eBook dedicated to beginner users: “Email Marketing Now” – you can grab it free of charge (over 30,000 downloads so far!). Click here to request now your FREE copy of Advanced Email Marketing.